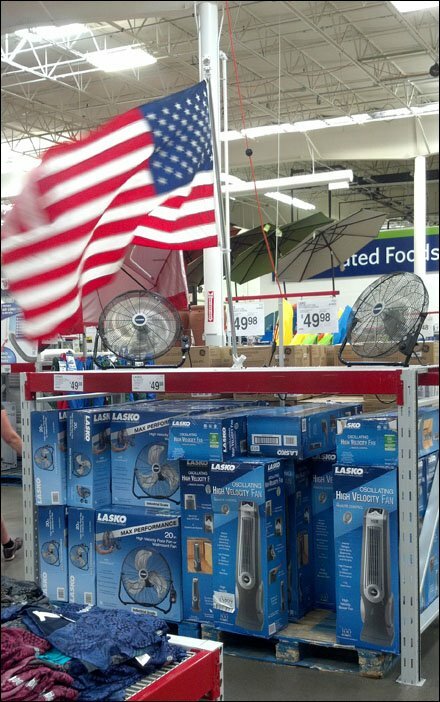 Fans on sale billow an American flag for the 4th of July, and to demonstrate the creation of a cool breeze. 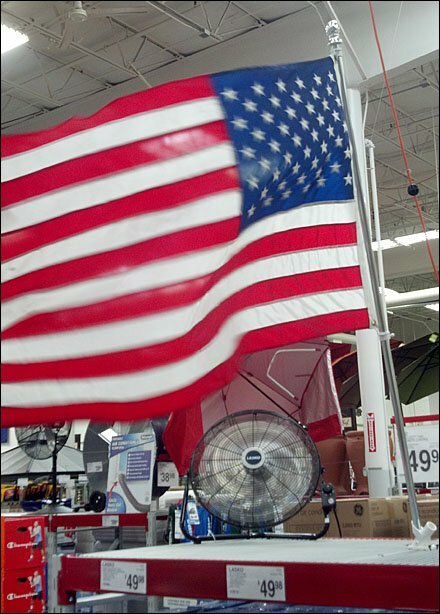 The fluttering flag catches attention from across the selling floor. And standing in the jet stream reminds one that an extra fan at a good price, might not be a bad idea this time of year.